The Shutterton Brook is a small watercourse which discharges into the Exe Estuary in Devon. The watercourse flows through Hazelwood Park and a number of other holiday parks. Because the land is low lying the brook is unable to discharge into the estuary during high tide periods. There are large tide flaps at the outfall and the watercourse has to provide sufficient storage to deal with the high tide periods. In the late 1980’s a flood alleviation scheme was undertaken to reduce the frequency of flooding from the brook. 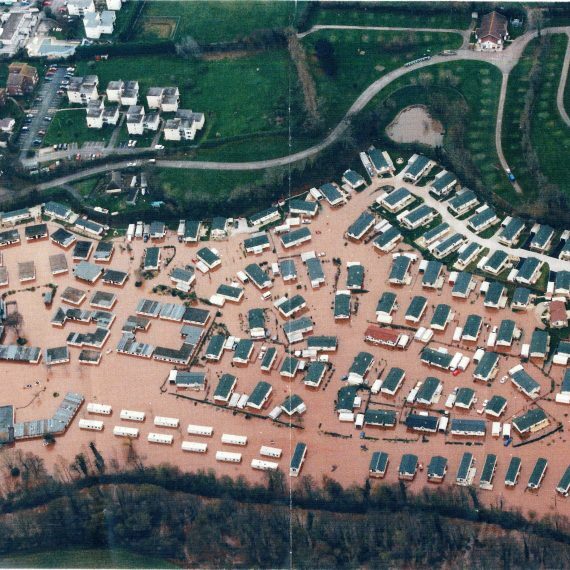 In December 2000 a flooding incident occurred which resulted in a major evacuation of the residents of the Park with air-sea rescue helicopters and inshore lifeboats deployed. period less than the original scheme was designed for. A model was built using the Infoworks RS program. Rainfall data provided by the Met Office and tide data supplied by the Environment Agency were used to enable the flooding incident to be simulated. This modelling revealed the mechanism which caused the flooding.